Scaletec supplies a variety of professional BMI scales that record weight, height and body mass of the user. Whether for hospital, gym or home use, Scaletec has a range of reliable weighing scales to suit your needs. 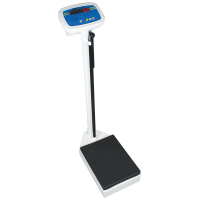 Manufactured by Adam Equipment, our scales offer precise BMI calculation for monitoring healthy adult weight in respect to height and body type. Our physician scales operate with ultrasonic technology that can effortlessly scan and record the BMI values of the user when stood on the weighing platform. For users with limited mobility, the MCW chair scale comes with a built-in weighing device that can accurately take the weight and BMI of the user without the need to stand directly on a weighing scale. Many of our BMI scale models can be connected via an RS-232 cable to thermal printers for precise data recording. 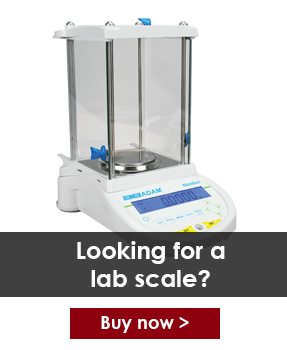 Whichever health or medical scale you need, Scaletec can be relied upon to provide premium quality at competitive prices, please contact us for more information. 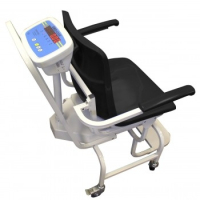 Adam Equipment's MCW 300L chair scale provides an affordable and practical solution to address the challenge of weighing patients with limited mobility. The MCW comes complete with BMI calculation and swivel wheels. Perfect for doctors offices, care homes, hospitals, physiotherapy and sports facilities. MUW ultrasonic bmi scales calculate height, weight and BMI (body mass index). A backlit LCD shows height, weight and BMI on one screen, eliminating the need to scroll through readings. Perfect for gyms, health clubs and spas. 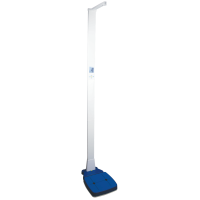 MDW digital gym scales feature adjustable height rods and BMI operations for precise height and weight readings. Perfect for gyms, spas, sports centers and health clubs. BMI or body mass index is a custom measurement that measures body fat based on weight in relation to height and is typically used as a primary point of reference when analysing the overall health of adults. BMI is currently considered the best measure of body fat to overall weight ratio.